Reflect in the modern style of this accent mirror. 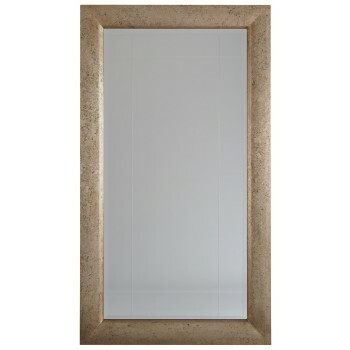 In an antiqued gold frame, this mirror's charm is heightened with beveling and straight borderline etching. Hang vertically or horizontally in any decor, especially a modern decor to introduce more light and to give the room greater depth and dimension.